The Progressive Conservative government's bill changing previously established regulations on where recreational pot can be used was put to a final vote around 4:40 p.m. after closing statements from legislators, with 69 voting in favour and 41 against. "It's a historic day," Finance Minister Vic Fedeli said in a speech to the legislature. "It is the end of an era, it is the end of a prohibition." "They stayed up all night working to fulfil the orders and I'm very, very proud of them," he said of those working on the web sales. 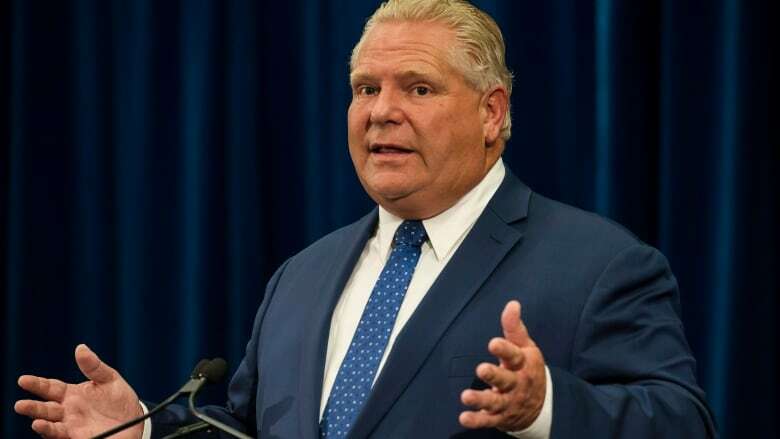 "Instead, we have a government scrambling to pass laws for a substance that is already legal," she said, adding that the government had decided to focus on other issues over the past months, such as Ford's move to slash the size of Toronto's city council. "Nobody was unaware that it was Oct. 17 and yet we got pulled into this legislature time after time over the summer into the late mid-night hours to talk about his vendetta against his past foes at Toronto city hall," Horwath said. "The government really should have taken its responsibility seriously instead of being so obsessed with interfering in Toronto elections," he said. The Ontario Cannabis Store website — which offers different types of pot with names such as Easy Cheesy, Super Sonic and Shiskaberry — garnered mixed early reviews on social media, with some praising the website's simple design while others complained about high prices. "We'll leave it to the Ontario Cannabis Store to continue to put products out there that the people of Ontario are looking forward to purchasing," he said. "When you buy cannabis it's not going to be like going to Amazon and having packages left at the door," Mulroney said earlier this week. "Canada Post, when they deliver your package, will have to check your ID. Ensuring people's privacy is an important goal for us." "Just because the federal government has decided to legalize cannabis doesn't mean that it's safe," Mulroney said. "We want to be able to educate and keep Ontarians informed about the serious health and addictions risks that come with both short and long-term use of cannabis." "Cannabis is no longer illegal on October 17, 2018. Up to four cannabis plants will be allowed per household," Toronto police tweeted. "Do not call police for this." "New cannabis legislation arrives today," the force said in a tweet. "Everyone please be safe & remember impaired driving is impaired driving no matter what alters your state."